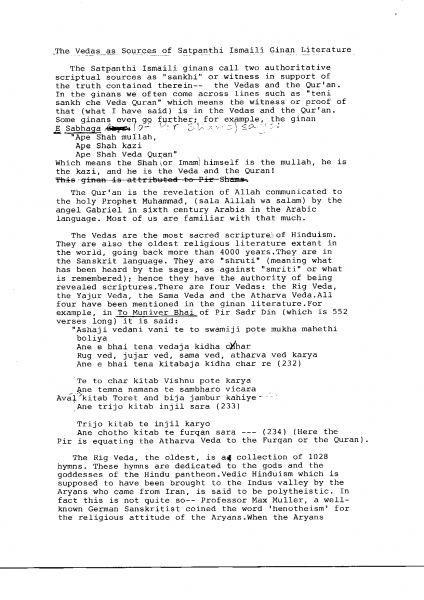 The Vedas as Sources of Satpanthi Ismaili Ginan Literature | Ismaili.NET - Heritage F.I.E.L.D. 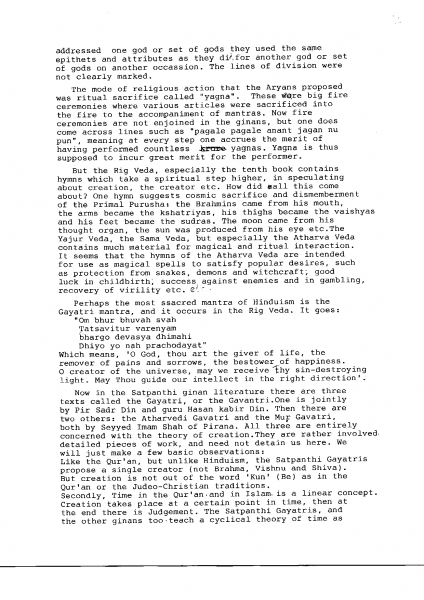 This is a unique work on the Vedas as sources for Sathpanthi Ginans. 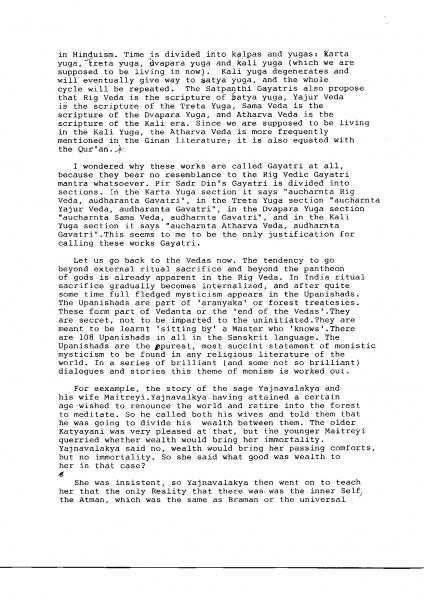 The article was prepared and presented by late Dr Gulshan Khakee, a pioneer Ismaili Scholar from Harvard at the second SOS Khojki Conference which we organised in Toronto. She left her text with us and we are making it available here. The Heritage Society invited her for the second SOS Khojki Conference in 1991 in Toronto . She stayed few days with us before leaving for Vermont . Dr Khakee submitted this particular article to the Heritage Society for publication in the proceedings of the second SOS Khojki Conference. It was mailed to us from Mid-Hudson, NY, USA on 4th October 1991, almost 20 years ago. 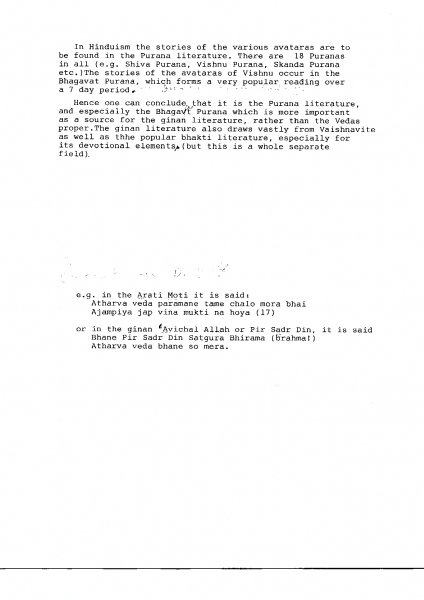 As we got busy for the preparation of the Ismaili.net web-site and in other projects in 1992, the proceeding of the 2nd SOS Khojki was not published in a book format. I lost her trace and few years ago, I met her brother Dr Shamsu Khakee in Montreal , he informed me of her demise. She was a kind soul. She has been an example to follow for many of us. 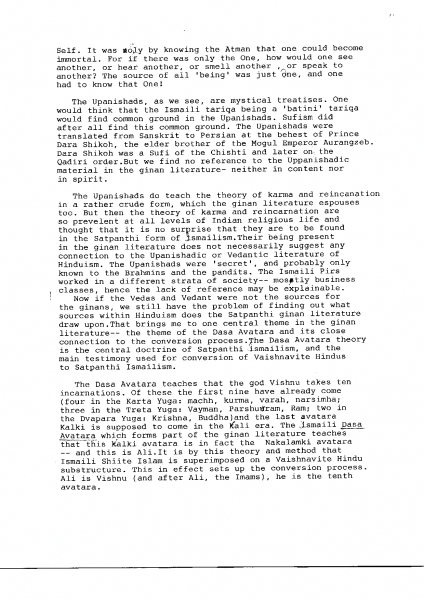 Here is her article, available to all, as a tribute to the legacy of Dr Gulshan Khakee, an outstanding Ismaili Scholar and a friend to all of us.